Discussing Leadership amongst FedUni students. Sarah Hibberd is the Chapter President of the FedUni Ballarat Student Chapter of The Australasian Institute of Mining and Metallurgy (AUSIMM). 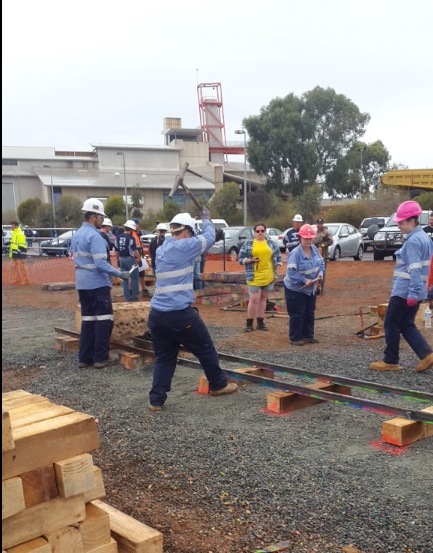 The Student Leadership Program helped fund her team’s travel, accommodation and registration for the International Mining Games in Kalgoorlie. 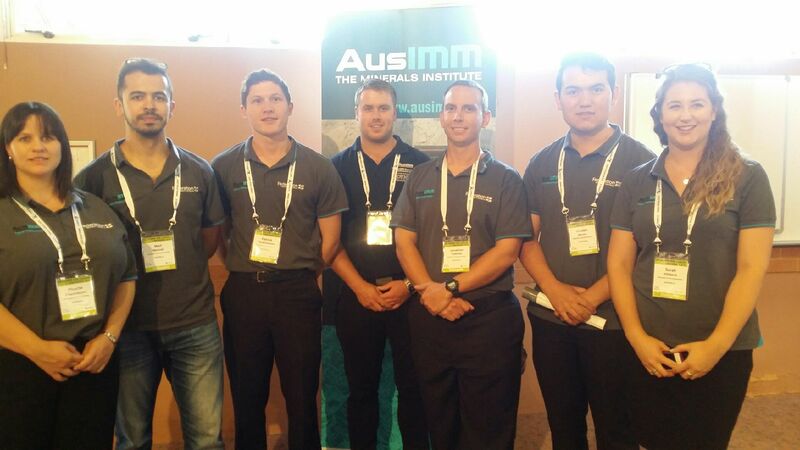 The 37th Safescope International Intercollegiate Mining Games were held in Kalgoorlie W.A this year and were hosted by the WASM Wombats from the Western Australian School of Mines. The competition started in 1978 in honour of the 91 miners that died in the Sunshine Mine disaster, USA in 1972. The Primary aim of the competition is to keep the traditional mining techniques alive as well as enhancing the comradeship of mining students over national and international borders. The team from left to right; Phoebe Chamberlain, Mert Mencek, Pat Bouwmeester, Jimmy Tarbolton, Jonathan Tidboald, Ghulam Mirzae and Sarah Hibberd. The games commenced Wednesday 25th of March through to Sunday 29th of March. 52 teams attended the International Games from 5 different countries. The events were split into co-ed, men’s, women’s, alumni and individuals. Partly funded through a grant from the Student Leadership Program, the FedUni Ballarat AusIMM Student Chapter took a team of 7 students to compete in the co-ed competitions against 29 other teams. The trackset event with the team in various roles. Hand steel – 5 team members drill into a block of concrete with a chisel and hammer. The airleg drilling event. 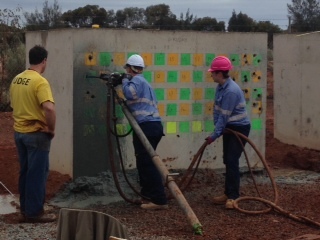 Jonathan Tidboald drilling into the concrete block and Sarah Hibberd in safety role. Overall the FedUni team did brilliantly, coming 13th against some very impressive international competition. Next year the national games are to be held in Brisbane where the team will be represented once again! 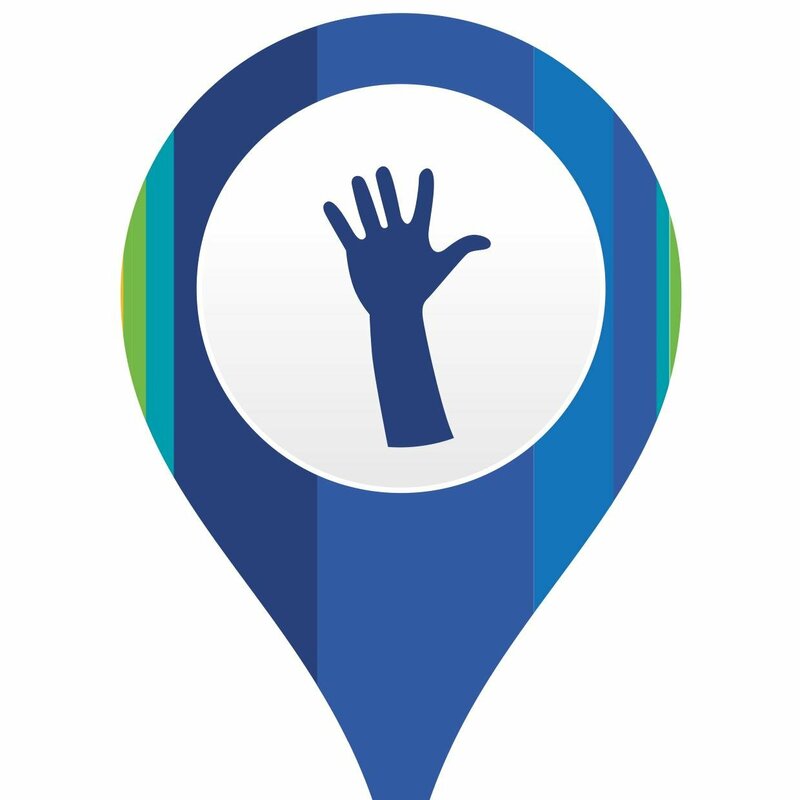 If you discover a Leadership opportunity you’d like to attend, the Leadership Program has grants available to support you with travel, accommodation and registration, so get in touch with them! Are you a Dove, an Owl, a Peacock or an Eagle? Students For Sustainability Conference – 5 steps to unleashing your potential and inspiring change.